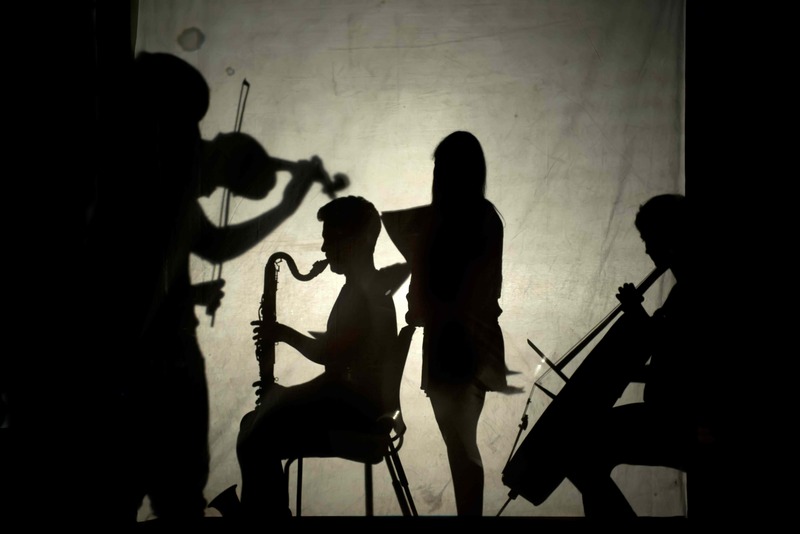 Metapraxis Ensemble Metapraxis Ensemble: New music with a theatrical twist! 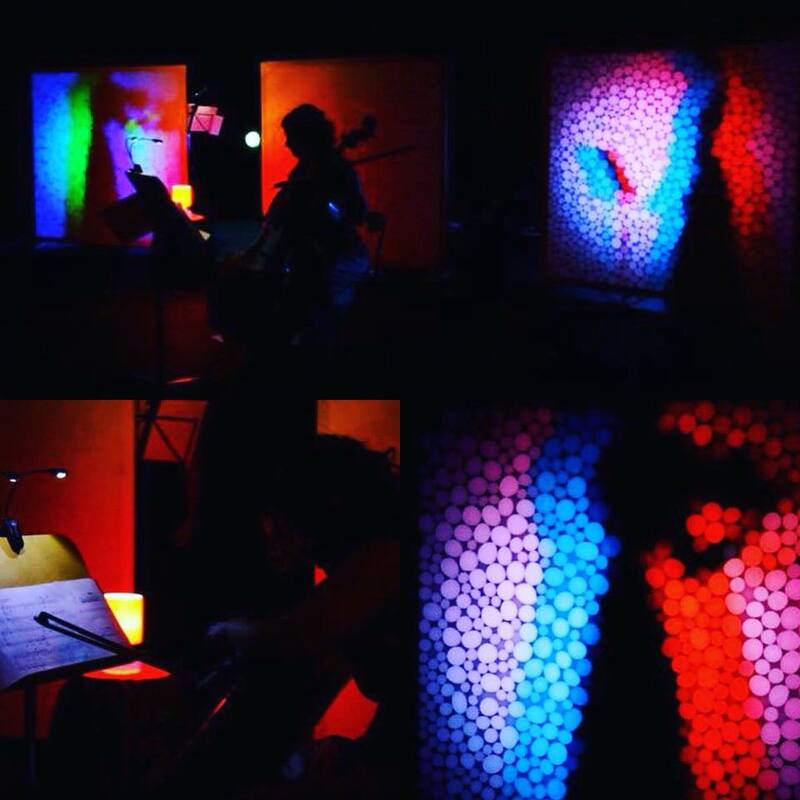 The Metapraxis Ensemble is a registered non profit organisation. 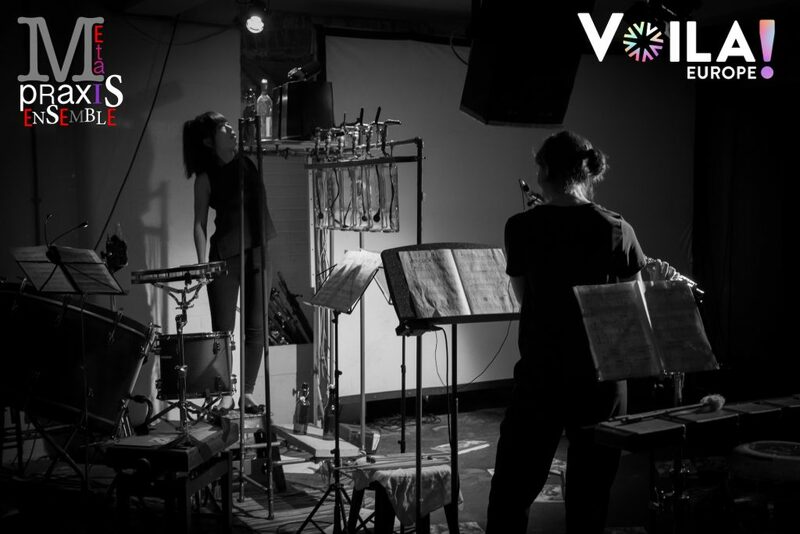 The Metapraxis Ensemble is a London-based, flexible group of musicians and collaborators, established in early 2009. 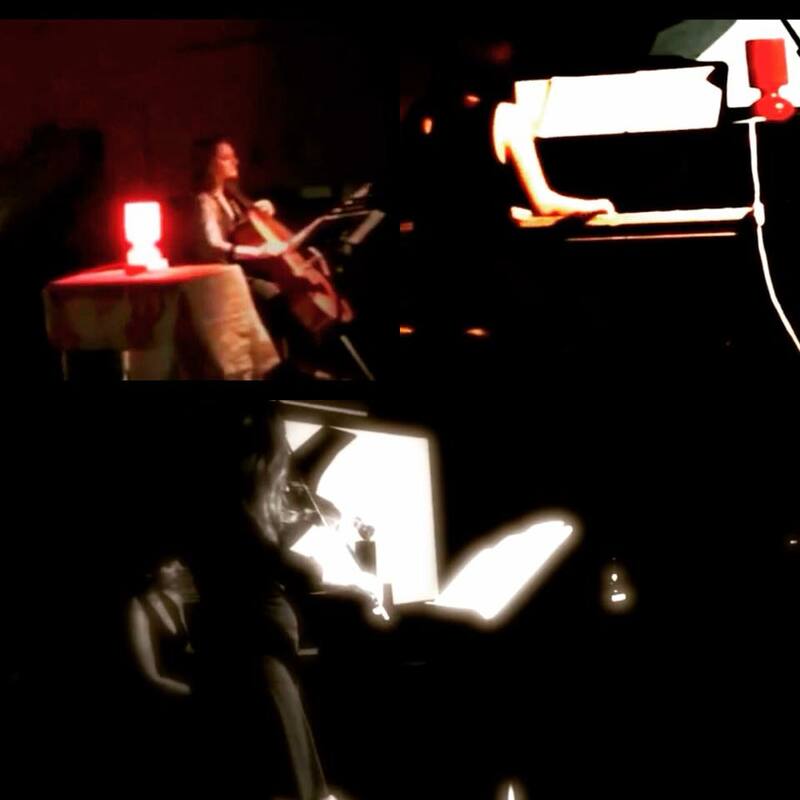 Our events (scroll down for our portfolio) focus on presenting contemporary music, often in conjunction with compositions from older eras, structured around a certain narrative, and reinforced by extra-musical elements. Allowing some sort of theatrical elements to emerge, our projects are presented as single units, often featuring video projections, movement, text reading and staging / lighting effects. We always aim to create a unique performing environment in accordance to the tone and texture of each of those events, and the same goes for projects we engage with through associated artists and organisations. 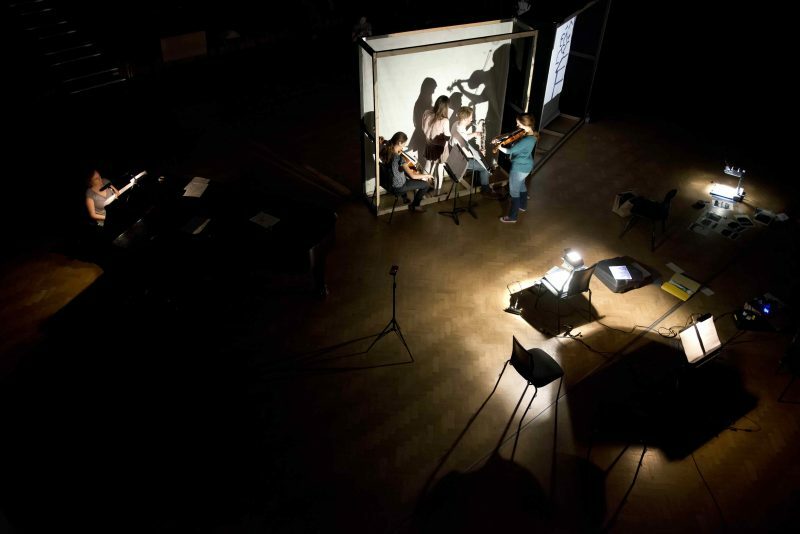 As a result, we are deeply commited in creating collaborations, and experimenting with the adoption of a wide variety of art forms: some of those previously explored include (shadow) theatre, dance, video, puppetry, and design/construction. 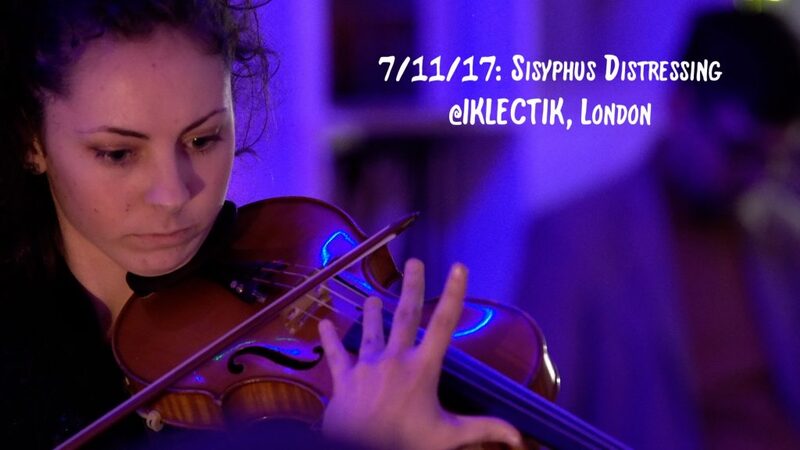 Metapraxis events have been produced in venues all over London, such as at LSO St Lukes, IKLECTIK, Cafe OTO, TripSpace, The Space, Iris, The Cockpit, Chelsea & Blue Elephant theatres, as well as at educational institutions (Brunel, Goldsmiths, Guildhall, Huddersfield, Leeds, etc). 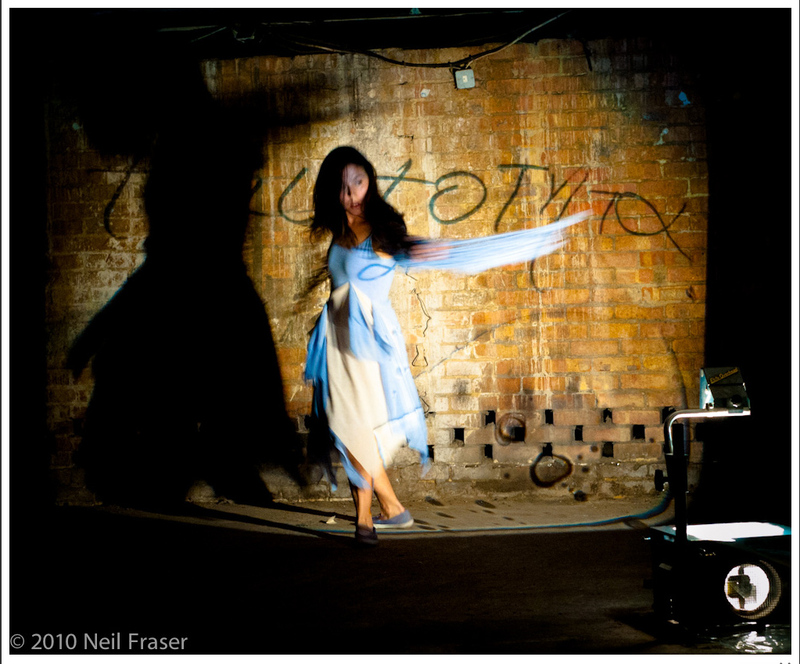 Support has been generously prvided by the Arts Council England and Hinrichsen Foundation. A music (with a pinch of theatre) performance, was presented on the 7th of November (Albert Camus's birthday anniversary), bringing to life a narrative based on the myth of Sisyphus: an avant-garde sonic environment full of experimental, theatrical and visual elements, intersecting with the absurd narration of the well-known myth (as it was seen by Camus). 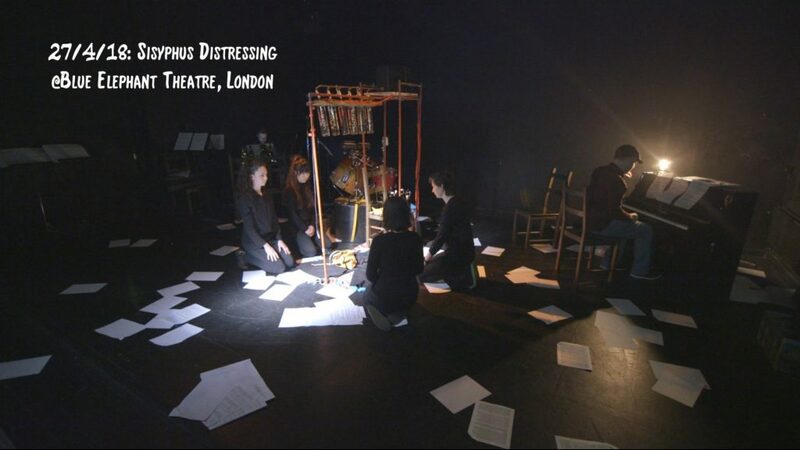 This project was conceived as the second part of a music and theatre trilogy, based on Camus's notion of revolt: "the attitude of heroic defiance or resistance to whatever oppresses human beings". 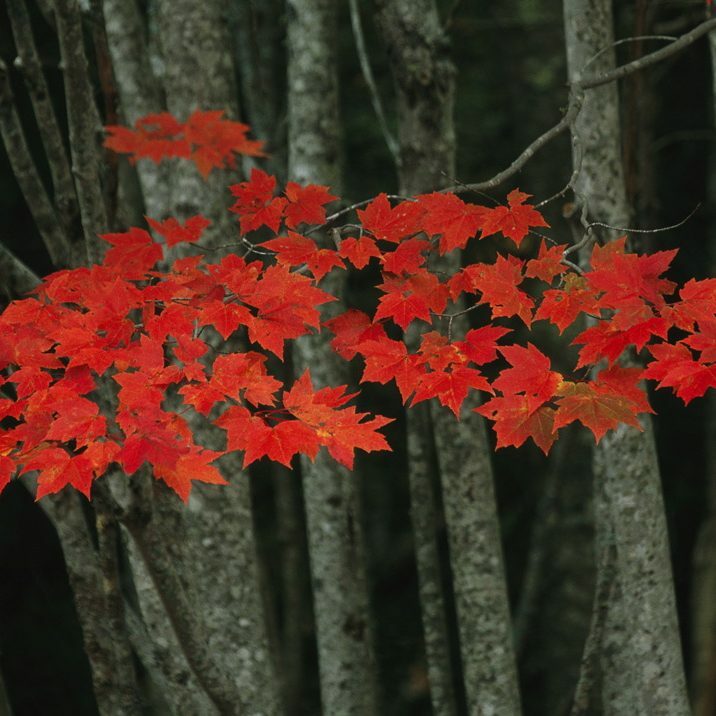 The first part of it can be seen here (performed by the LSO). 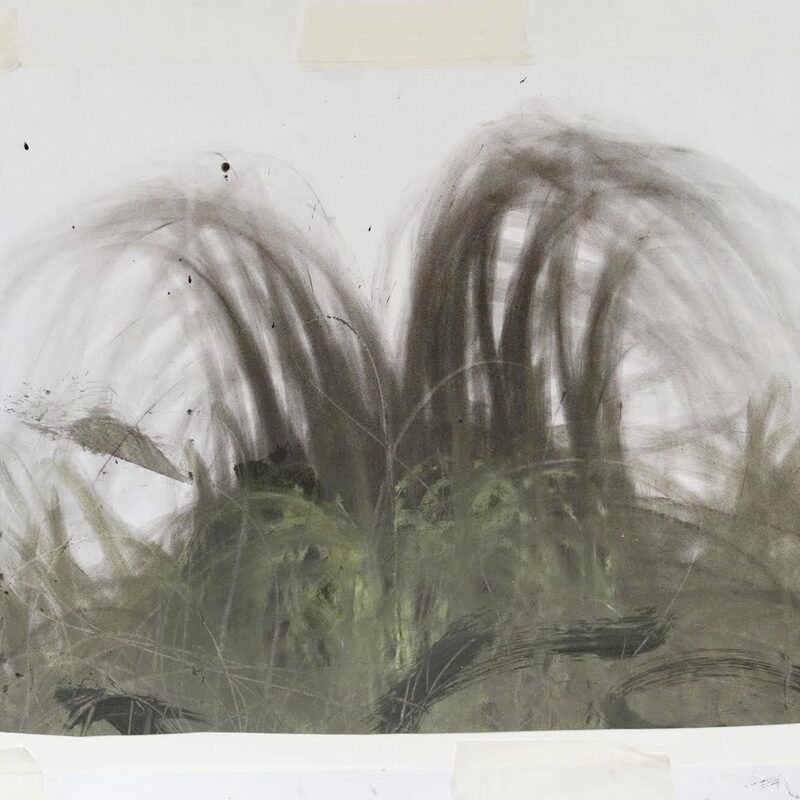 The development and production of Sisyphus Victimised have been generously supported by the Hinrichsen Foundation. 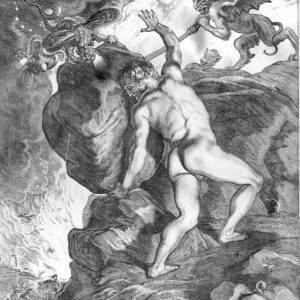 Sisyphus Distressing relates the absurdity of man's life with the situation of Sisyphus (our protagonist), an iconic image from Greek mythology who was condemned to repeat forever the same meaningless task of pushing a boulder up a mountain, only to see it roll down again. The key points we explore are: endless repetition, meaninglessness, struggle, failure, and hope. The work of the Algerian/French philosopher Albert Camus on Sisyphus is playing a major role on this exploration. The other crucial element of our performance, the mirror, comes from Grimm Brothers' Evil Queen (antagonist of Snow White). 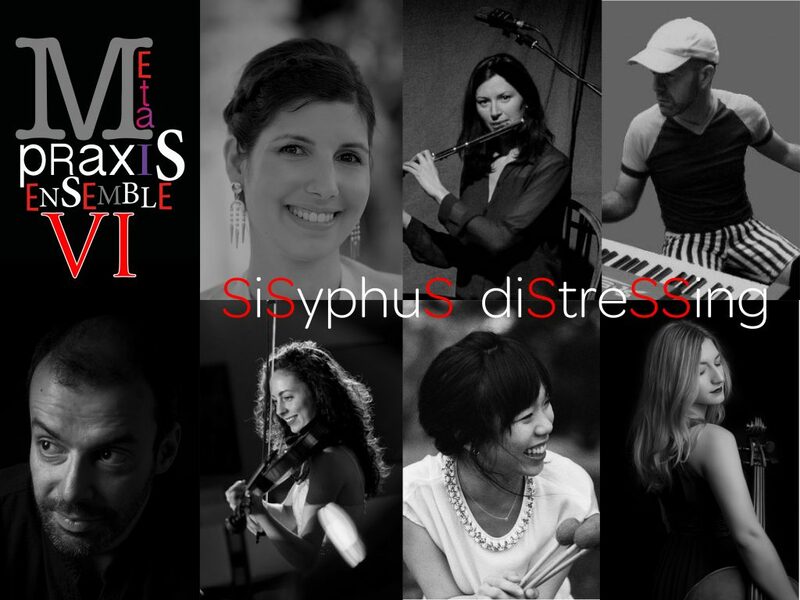 Sisyphus Distressing is a sonic venture in flexible format. The content of each performance is partly altered as our focus switches between different key points. 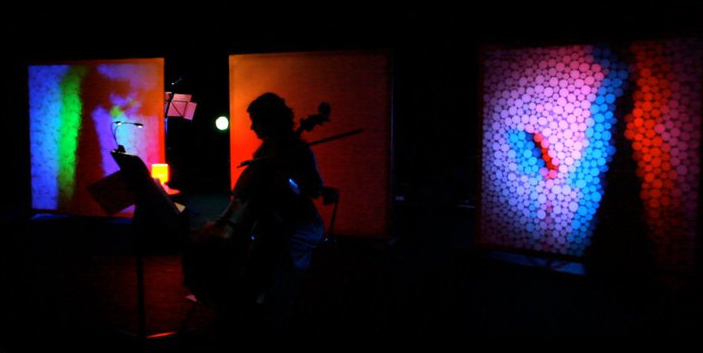 The project started with a set number of Emfietzis’s existing compositions: sonic works involving various non-musical elements, such as gestures, acting, lights, design. 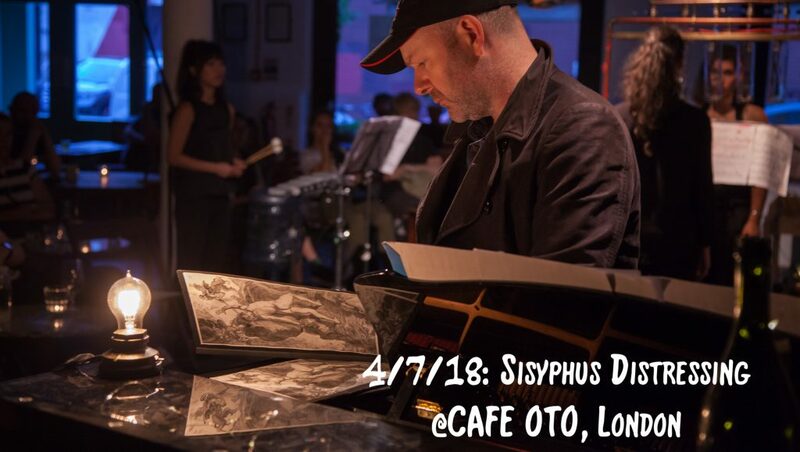 It has since been continuously developing, and thus each of the FOUR previous performances (at IKLECTIK, Blue Elephant Theatre, Cafe OTO & The Cockpit Theatre) were substantially different! 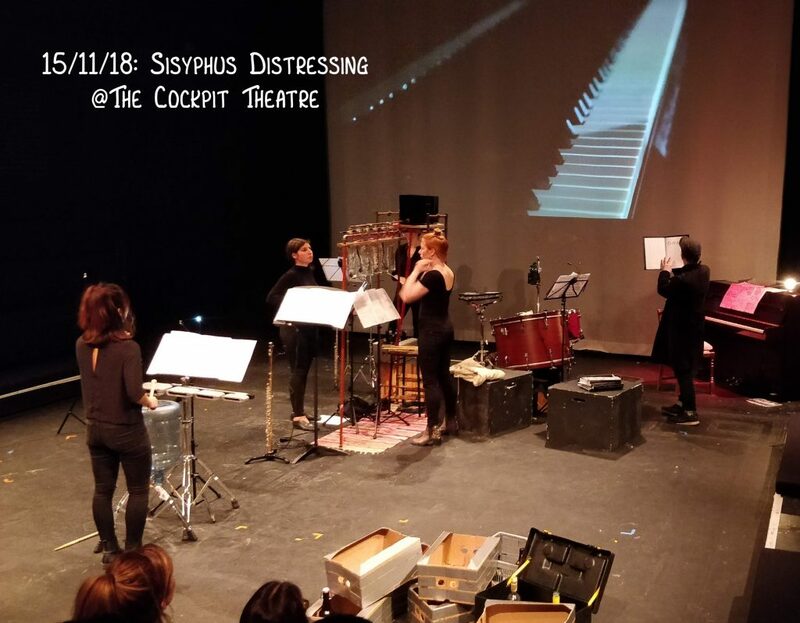 A piece of contemporary music and dance by the Consensus Dance Company, attempting to re-contextualise the myth of Antigone, as seen through the eyes of Jean Cocteau. It explores the physicality of the characters as well as the embodiment of frustration and tragedy. Choreographer Aline Derderian, in collaboration with composer Gregory Emfietzis (following their previous work Défigure sur la plage inerte that can be seen here) and the Metapraxis Ensemble, finds an opportunity to pay tribute to her Armenian origins for the hundred anniversary of the Armenian genocide of 1915. In the challenge that is diffusing contemporary performance towards Armenian community and vice versa, Consensus Dance Company showcased its work at TripSpace Projects, London on May 8th and 9th 2015, and on the 8th of October, in Yerevan (Armenia), during the HighFest 2o15 . The development of this project has been generously supported by the Arts Council England. In a city from which music has been forcefully banned, a group of citizens secretly manages to discover the truth about the missing sounds and colours. 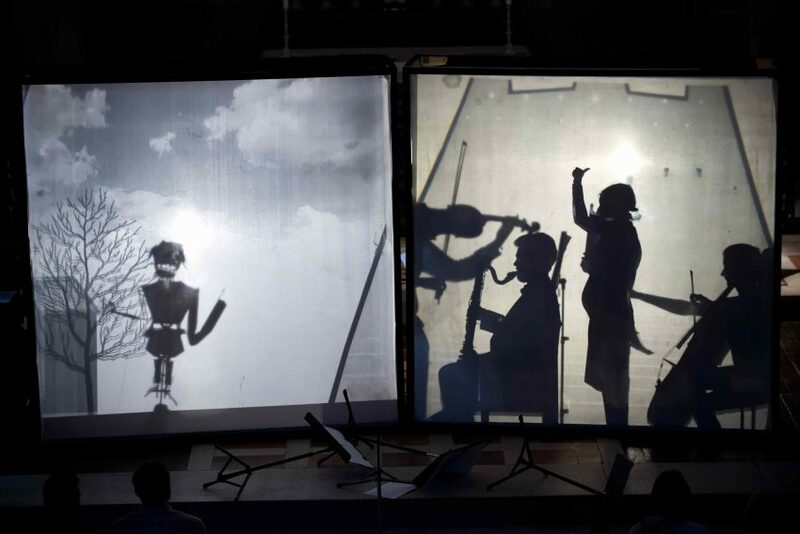 This is a theatrical music performance, devised and composed by Gregory Emfietzis, and presented as a shadow puppetry show. Based on Myrto Loulaki's fairy tale, it follows Roger on his mysterious journey, full of thrills and action, as he strives to find a way to destroy all evil. The development and production of this project have been generously supported by the Arts Council England and the London Symphony Orchestra (through the LSO Soundhub scheme). The above recordings have been taken from the preview performance of Music Impossible at LSO St Lukes and the subsequent performances at Iris Theatre, Covent Garden. 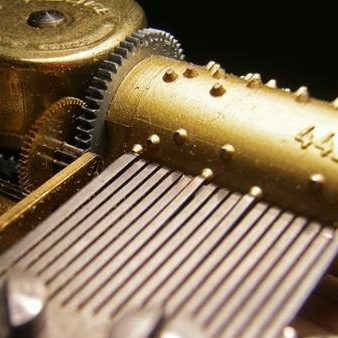 A collaboration of Gregory Emfietzis and Nicholas Peters (aka Underscore) exploring the nature, function, and physicality of reel-to-reel tape machines. 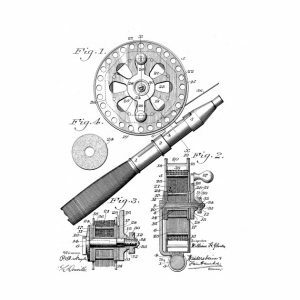 Following is an introduction about [Post]Analogue by Nicholas Peters [29/06/11]. The simple answer is curiosity, I’d never seen a reel to reel tape machine live and through John Cage and Steve Reich was really intrigued about working with tape. Particularly in Reich’s case the question and fascination over ‘how tape machines made music’ was one driving force behind the choice of reel to reel tape machines as Underscore’s first project. The other inspiration came when I randomly went to a production of Samuel Beckett’s play ‘Krapp’s Last Tape’ at my local theatre in Taunton, Somerset. As much as the use of reel to reel tape machine was the performance space layout with the male actor sat at a desk at the front with the audience sat in straight lines facing inwards on the other three sides of the square space. As for the title of the project, it is a comment from Carl Rosman upon a question I asked in a workshop at Darmstadt on composing for Clarinet between him and Rebecca Saunders (composer). 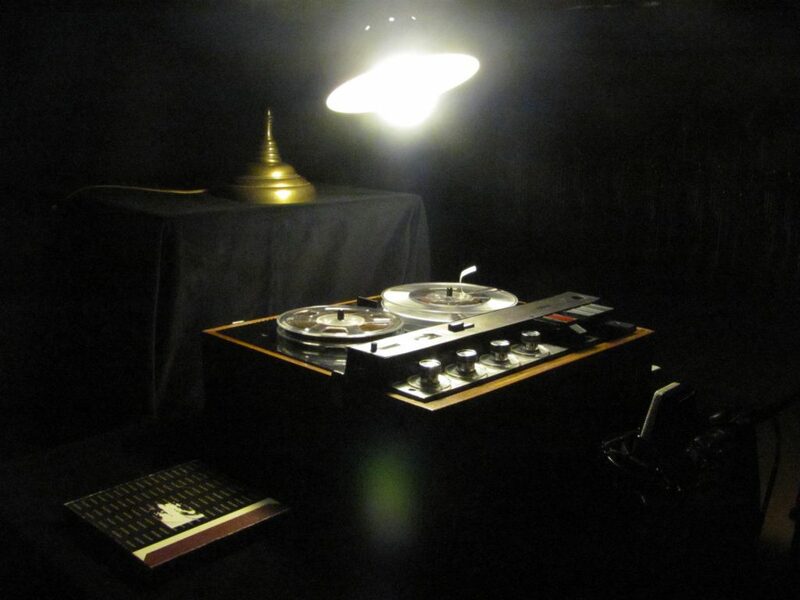 A Monologue (2011), 10″, for two reel to reel tape machines and one performer. 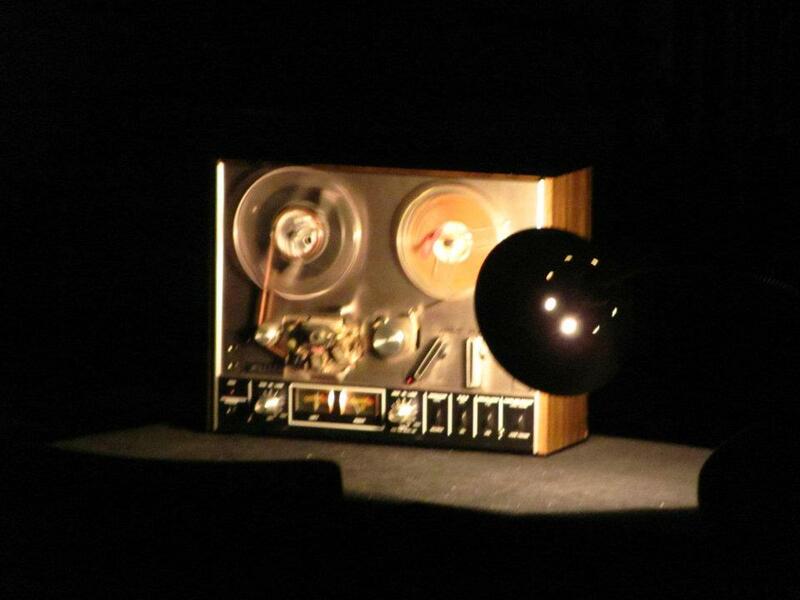 Three-way accumulator (2011), 5″, for three voices and one reel to reel tape machine. Three Constructions after Kurt Schwitters (1993), 20″, for tape. Lithuania Dreaming (2011), 8″, for one reel to reel tape machine. Workhouse (2011), 12″, for one reel to reel tape machine. 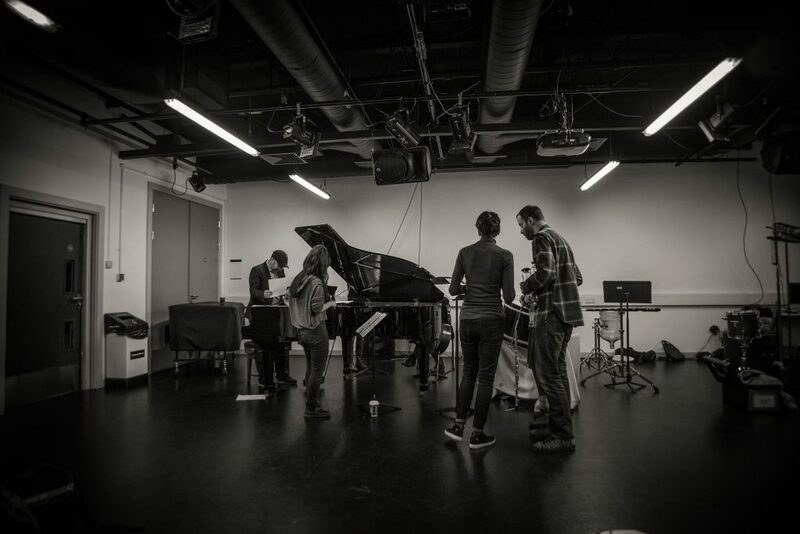 The fifth Metapraxis projects presents the DIY series, a series of closely related works by Gregory Emfietzis, exploring the theatricality of music performance. In these works, the praxis – in our case the musical actions – becomes part of some sort of theatrical performance (implemented theatricality), often combined with the metapraxis – in our case the nonmusical, theatrical actions. 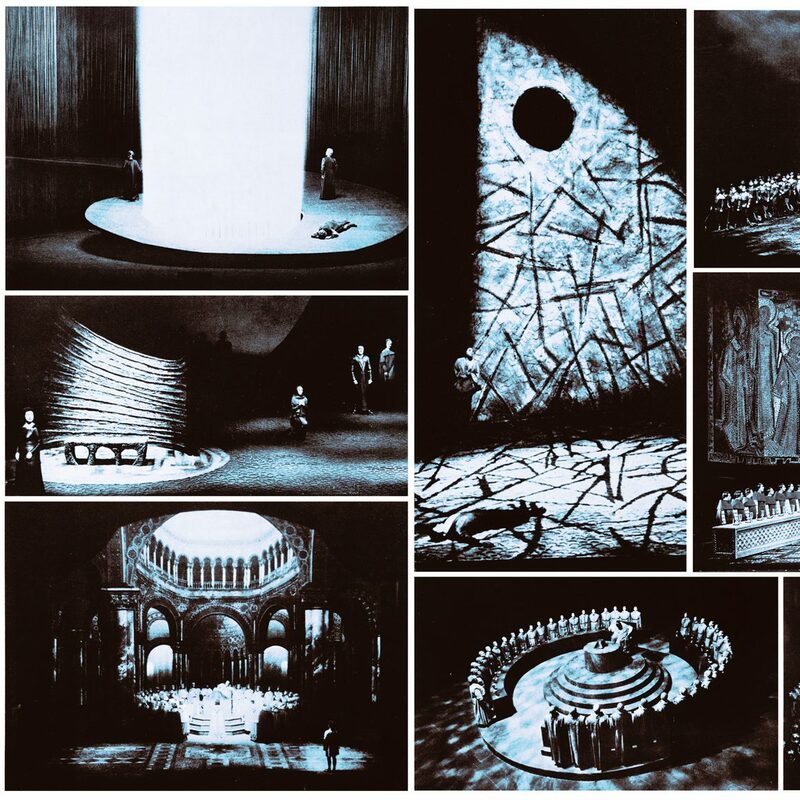 Thus musical performance in its original form becomes part of a dramatic scenario, while the performers become figures with specific personal characteristics. 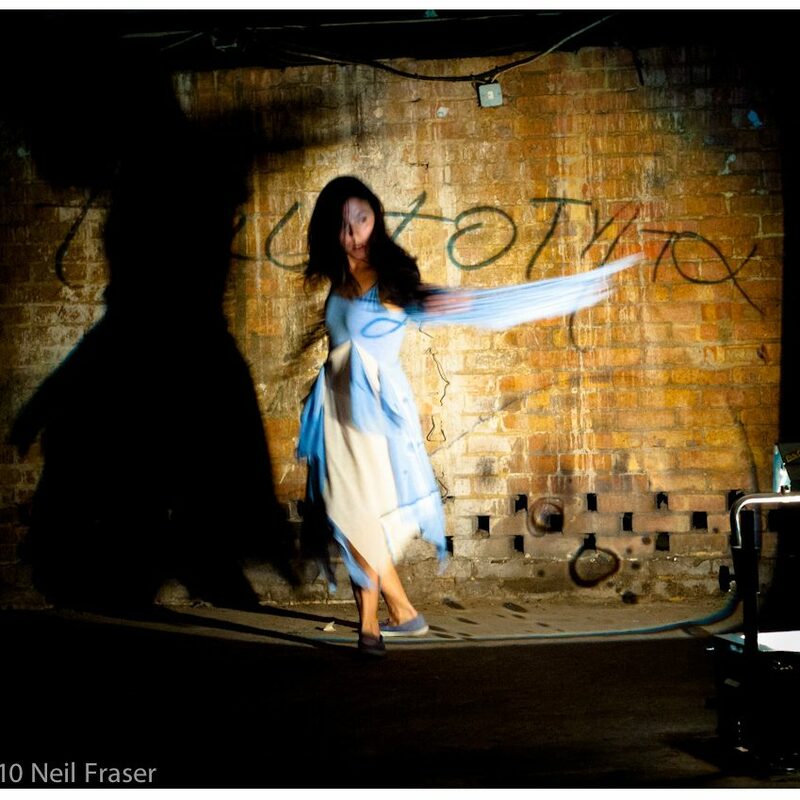 Composer Gregory Emfietzis and choreographer Mariana Lucia Marquez weave together sound and movement developed from her daily dance meditations by Lavender Pond and the Thames in South East London. 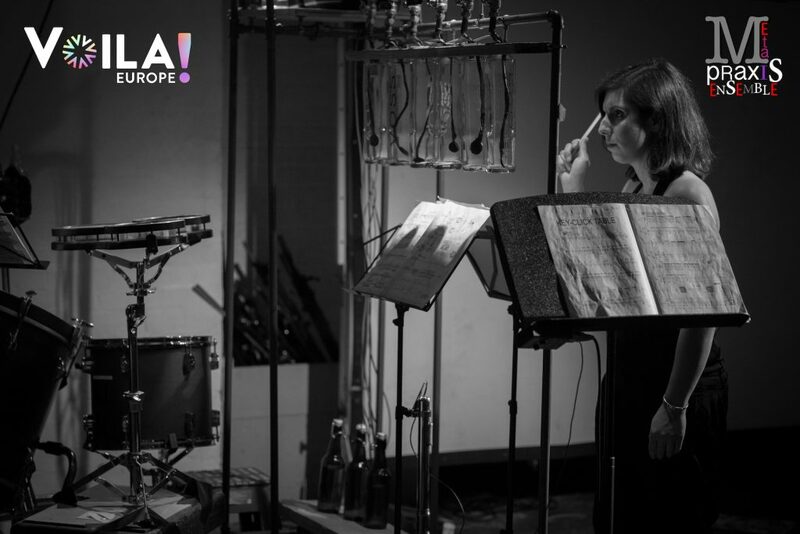 In dialogue with musicians Myrto Loulaki (singer, multi-instrumentalist) and Guilermina Chivite (violin) of Metapraxis Ensemble, Marquez renders an in-the-moment interpretation of Emfietzis' score. 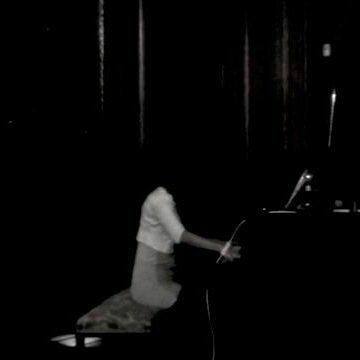 Nao Maebayashi takes on Gregory Emfietzis's DIY 1: the pianist & the lamp, at Cafe OTO, as part of the World Listening Project's preview event. The lamp in this particular piece exemplifies the controlling role through the following concept: it carries a socio-political message: the human race against the machines (or the continuous fight of men in order not to be replaced by machines in their professional and social life). 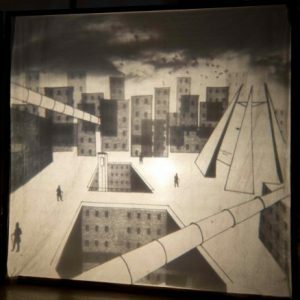 Conceptually approached in a similar way to Fritz Lang’s silent film Metropolis, the meaning of the work considers the lamp as an ‘archetype’ of (all) the machines. 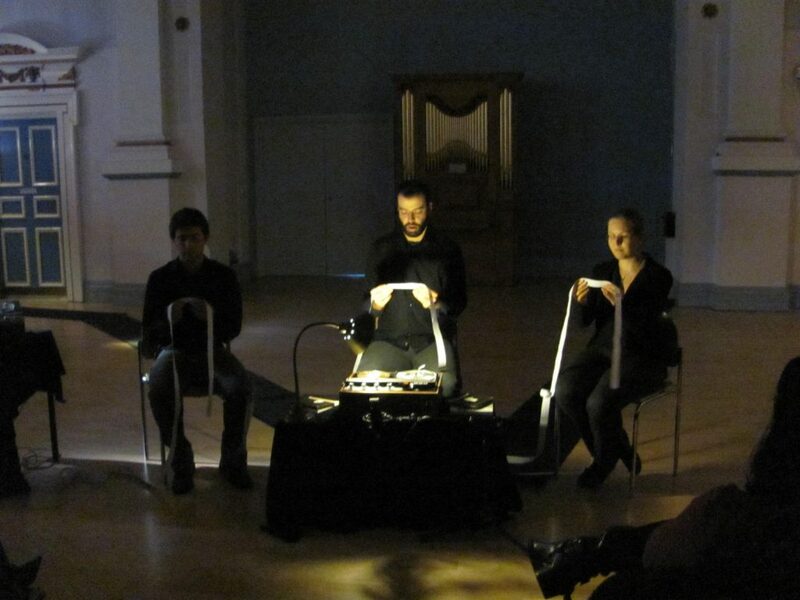 The third Metapraxis project -inspired by John Cage's ideas on silence, sound and noise- is exploring the function of music in performance and the concept of songs in contradicting formats. William Cheshire, Anne Cleare, Gregory Emfietzis, Christopher Fox, Johnny Herbert, Scott Mc Laughlin and Franz Schubert. 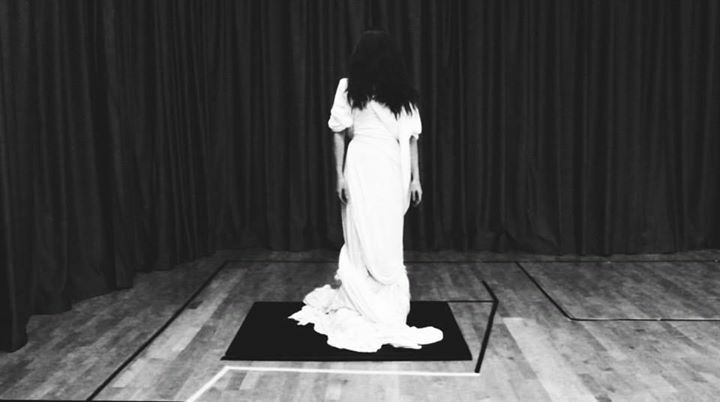 The second Metapraxis project, built on John Dowland's 'Flow my tears' and Yannis Kyriakides's 'Satellites', is thematically concerned with the contemporary world life's current state of affairs, consequences of selfishness and personal insensitivity.